I was unaware of the connection between the 1st Amendment and Milton. Thank you for sharing this! I found it fascinating, too! Thanks! Knowledge is power and I am feeling very powerful today. I have not read this essay, but now I very much want to. Another favorite – you’re on a roll Olivia! 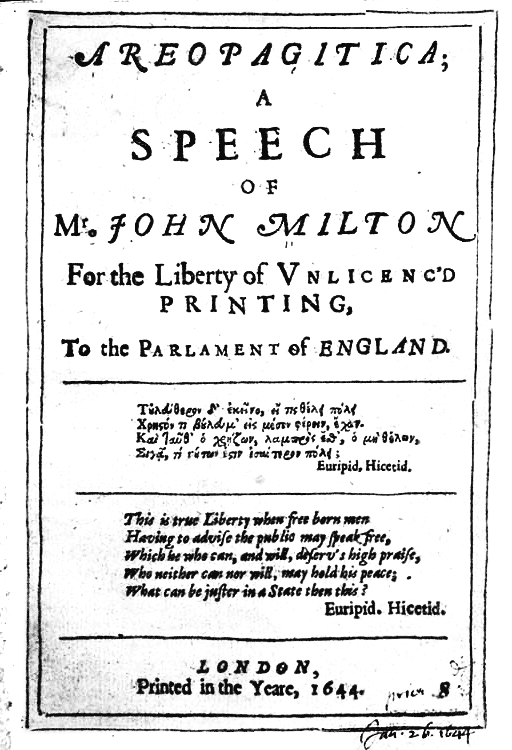 I had no idea that Milton played a part in freedom of speech. Thank God for Milton! Thanks so much for posting this Olivia. I love your blog for all these little cool tidbits… Thanks so much for posting. Inspirational – wonderfully apposite sentiments for the current moment. Many thanks.